In a 24/7 society, Christmas Day is the nearest we get to a national shutdown. For many people - children permitting - there is the chance to shun the alarm clock summoning them to work. 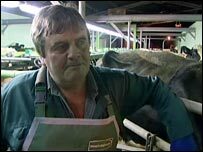 But not workers like Stuart Yarwood, one of 18,000 diary farmers who have cows to milk on Christmas Day. For Stuart 25 December is just another working day which sees him rising at 0530 GMT to milk his herd of 180 cows on his farm in Congleton, Cheshire. His celebrations are sandwiched between milking sessions. "You have to make the most of your time and I value the time I do have but I have to milk on Christmas Day morning and afternoon so there is an hour or two in the middle that we squeeze in," he told BBC One's The One Show. The cows have to be milked and this yield is destined to be butter, cheese. "There is very little demand for bottled milk on Christmas Day, no-one buys milk but it goes to cheese-making," he said. This last time the Office of National Surveys calculated the figures in 2002 an estimated million people worked on Christmas Day. However not everyone who works on Christmas Day is in paid employment and some people find the festival a particularly lonely or desperate time. 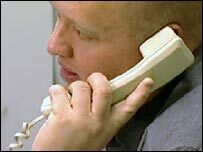 Rob Matthews will be spending his fourth Christmas answering the phones as a Samaritans volunteer. "I just like to give something back," he said. "It could be someone desperately suicidal or have mental health issues," explained Rob. He added: "Some of the calls reflect this as they are specific to Christmas and sometimes it upsets you that there is that much unhappiness about." Another person serving those in need is Gary Cope, one of hundreds of Salvation Army hostel workers serving Christmas dinner to more than 4,000 homeless people. It means sacrificing any festivities on Christmas Eve. "It's hard work because it spoils your Christmas Eve, so you can't have a good time. "I think the build-up is worse because you can't look forward to Christmas Day and you are on a downer," said Gary. "Once it gets here and I get into the swing of it - it's good fun - it's fine. I knew that when I took on the job." Fun is not a word Manchester cabbie Mike Pundick associates with working Christmas Day. 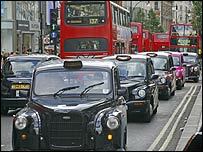 On a day with no public transport taxis are in demand whether taking people to see their loved ones or ferrying key workers to their jobs. 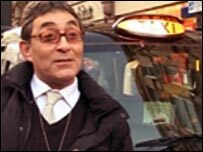 According to the London Taxi Drivers Association cabbies can earn up to 50% more on Christmas Day. Mr Pundick however sees working over the festive season not so much as a bumper payout but a traumatic experience. "We work until the drunks are too drunk and then we go home. "You go to bed and all you dream of is traffic, traffic, traffic - absolutely does your head in." He added: "I dread it basically because people are going out having fun and enjoying themselves and here's you not and you still have to wear a big smile on your face!" For some workers it is vital that they work over Christmas - not just the 999 services but also medical staff such as midwives. According to Government figures an average of 1,351 babies a year are born on the day the birth of Jesus Christ is celebrated. 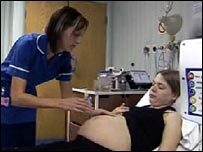 It means midwives such as Lisa English, from Trafford General Hospital, Greater Manchester, have to be on duty. "I don't resent it - it comes as part of the job," said Lisa. "The atmosphere is different. Work on Christmas Day is a bit more relaxed. "We still get the job done but because the woman are here we try and make it a bit more special." "This year I'm on the late shift I will exchange gifts with my family in the morning and then I'll go to work. "So the rest of my Christmas Day really takes place on Boxing Day." These workers shared their Christmas with BBC One's The One Show. Should shops open on Christmas Day?